BRUSSELS, Belgium, June 11, 2016 (ENS) – Indian and international environmental groups are taking Danish container ship giant Maersk to task for its statement that the company is considering flagging its end-of-life vessels out of Danish or any other European registry to circumvent the European Ship Recycling Regulation and break the ships in India. Owners of ships flying the flags of EU Member States must ensure that their ships are recycled only in ship recycling facilities that comply with strict requirements and are included on the European List. The European List will be officially published by the end of 2016. Maersk says it will have to scrap more vessels in the coming years due to oversupply and low freight rates in the container market, and the company estimates it can earn an additional US$1-2 million per ship by using beaching yards in Alang, India. After “Maersk Group’s recent announcement of its long-term commitment to create more responsible recycling options in Alang, India, an agreement has been reached for the landing of the first two vessels,” the company announced last month. Two Maersk Line container vessels, the Maersk Wyoming and the Maersk Georgia, will be recycled over the next few months at the Shree Ram yard in Alang, which is certified to the standards of the Hong Kong International Convention for the Safe and Environmentally Sound Recycling of Ships, but is not on the European List. Until now, the Maersk Group has recycled its ships in selected yards in China and Turkey. 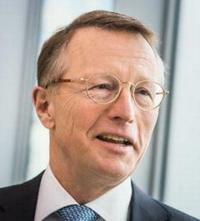 The Maersk Group’s policy is to only recycle ships responsibly, the company says. Annette Stube, head of sustainability for the Maersk Group, said, “By initiating recycling of vessels in Alang at responsible yards, we ensure further development of financially feasible and responsible recycling options to the benefit of Alang and the shipping industry. This development will take time, but we are determined to work with the yards for the long haul,” she said. “We will also have staff on-site at Shree Ram. They will be working closely with the yard to further upgrade practices, processes and facilities to ensure that the recycling of our vessels complies with our standards,” said Stube. 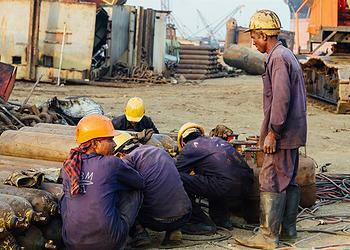 Stube said conditions are improving in Alang’s ship recycling yards. Following several audits at upgraded facilities in Alang last year, the Maersk Group concluded that responsible recycling can be accelerated in the area, if the company works with the yards now. “The Alang plans come at a cost for us, but we will invest money and human resources to ensure we can already now scrap our vessels in compliance with the Hong Kong Convention provisions as well as international standards on labor conditions and anti-corruption,” said Stube. But the environmental groups are not reassured by the company’s statements. They say that the European Community Shipowners’ Association, ECSA, and its members have found “a convenient solution” in referring to the Hong Kong Convention, an International Maritime Organization Convention that is unlikely to enter into force anytime soon. The Hong Kong Convention was adopted in May 2009, but it will not enter into force until 24 months after the date of ratification by at least 15 states representing a combined merchant fleet of at least 40 percent of the gross tonnage of the world’s merchant shipping whose annual ship recycling volume during the previous 10 years is at least three percent of the gross tonnage of the combined merchant shipping of the same 15 states. But the NGOs argue that the Hong Kong Convention does not ban the beaching method, nor does it introduce strict rules on downstream waste management. Moreover, they warn that anyone can hand out Statements of Compliance to shipbreaking yards claiming they operate in line with the convention. Patrizia Heidegger, executive director of the NGO Shipbreaking Platform, said, “Maersk has sent a clear signal: either European environmental regulation accommodates for its practices in India, or the world’s largest ship owner will just ignore the Ship Recycling Regulation by flagging out,” says Patrizia Heidegger, director of Shipbreaking Platform, a nongovernmental organization. “The threat to resort to non-European flags amounts to blackmailing lawmakers who seek to ensure that European ship owners have to maintain European standards in their business activities around the world,” said Heidegger. The Clean Shipping Coalition, the only global environmental organization that focuses just on shipping issues, decries pollution caused by shipbreaking on beaches. The pollution is caused by the dispersal of debris, including toxic paint chips, into the intertidal zone; improper downstream disposal of toxic waste; cracked concrete areas for final demolition; poor accommodations for workers; and an absence of proper environmental impact assessments and permits. The Coalition’s nine members are: the Air Pollution & Climate Secretariat; Bellona Foundation; Clean Air Task Force; Environmental Defense Fund; Nature and Biodiversity Conservation Union; Oceana; Seas at Risk; the North Sea Foundation; and Transport & Environment. Maggs also serves as a senior policy advisor at Seas At Risk, a marine protection umbrella organisation of environmental NGOs from across Europe that includes 30 member groups in 16 countries. The Seattle-based nonprofit Basel Action Network, BAN, has been working against shipbreaking on beaches for years. The group describes what happens on these South Asian beaches. “At high tides each month, companies sail huge vessels at full speed up onto the shores. 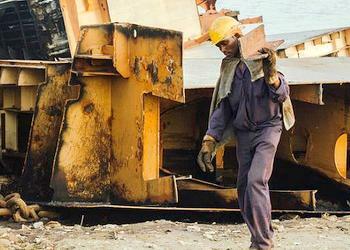 When the tides recede, local workers begin tearing the ships apart, piece by piece. Without safety gear – in baseball caps and flip flops, or boots if they’re lucky – boys and young men cut wires, blast through ship hulls with blowtorches, and haul huge pieces of scrap metal using their bare hands,” says BAN. Without basic occupational health and safety precautions, the number of injuries and deaths among workers is high. 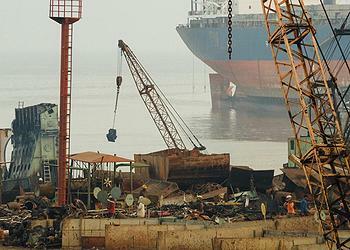 The International Labour Organization considers beach shipbreaking one of the most dangerous jobs in the world. Local wildlife suffers too. In Bangladesh alone, 21 species of fish have gone extinct and 11 are endangered due to shipbreaking, BAN has documented. Indian NGOs most recently expressed their concern about the beaching of end-of-life vessels in Alang after an April visit to the Alang shipbreaking yards organized by the European Community Shipowners’ Association, ECSA. The European ship owners invited government representatives from France, Germany, Belgium and the European Commission on the tour. NGOs, including the NGO Shipbreaking Platform and its Indian members, were not allowed to join the visit. The European ship owners did not make time to meet with the local trade union or the affected workers. 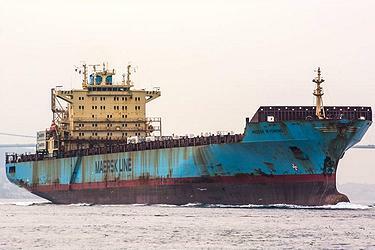 To accelerate the upgrade of more yards in Alang, the Maersk Group said it is building a broader collaboration with other ship owners to increase demand for responsible ship recycling and to find sustainable solutions. A first step is a planned dialogue with Japanese ship owners in collaboration with the Japanese Ship Owners Association.